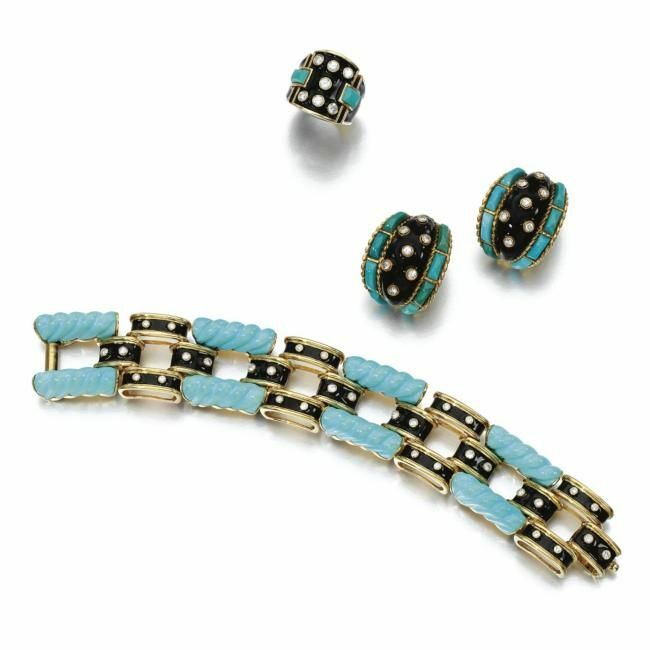 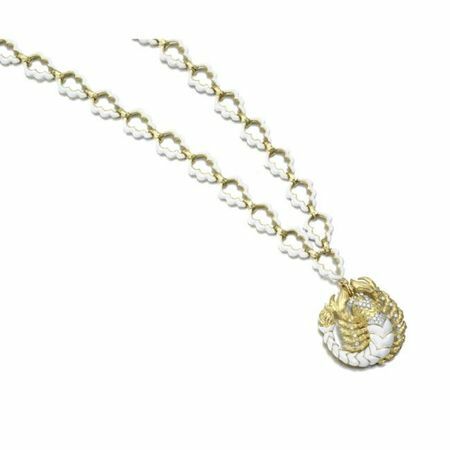 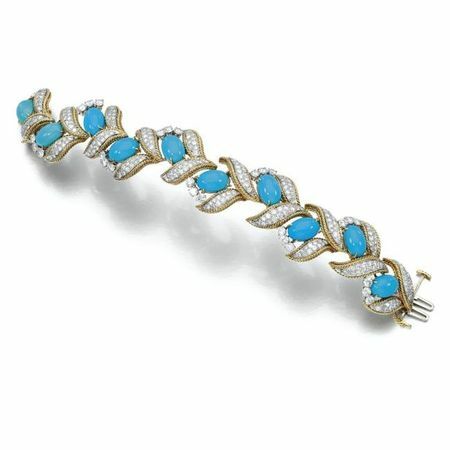 LITERATURE AND REFERENCES: Cf: Elizabeth Taylor, My Love Affair with Jewelry, 2002, page 164, for a similar horse bracelet. 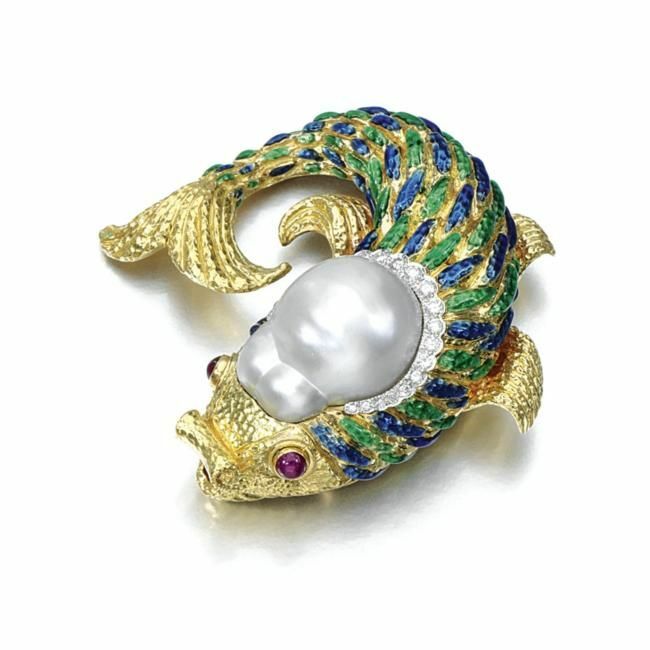 LITERATURE AND REFERENCES: Cf: Marguerite de Cerval, Dictionnaire du Bijou, Paris, 1998, page 549 for another example of a similar brooch. 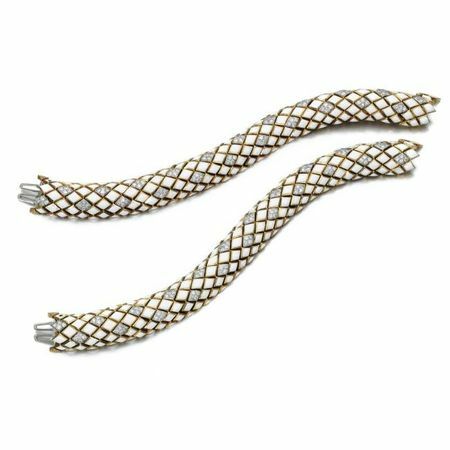 LITERATURE AND REFERENCES: Cf: David Bennett & Daniela Mascetti, Understanding Jewellery, 1989, page 436, for another example of a similar bracelet. 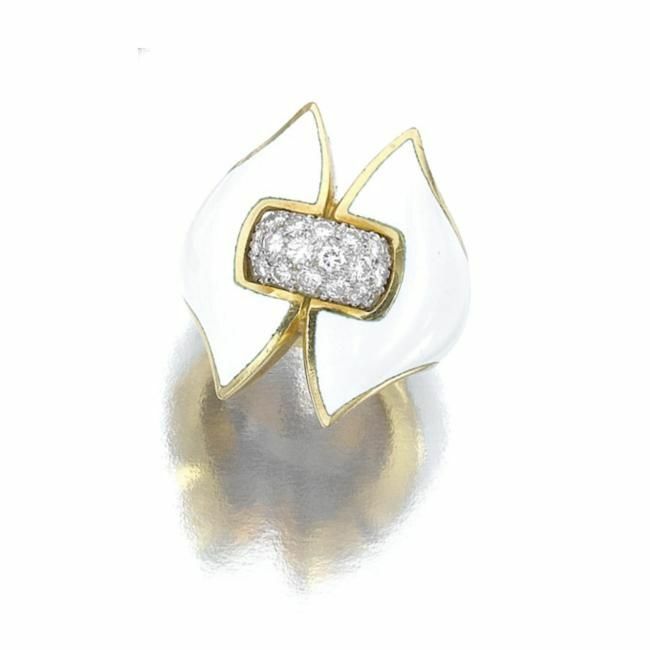 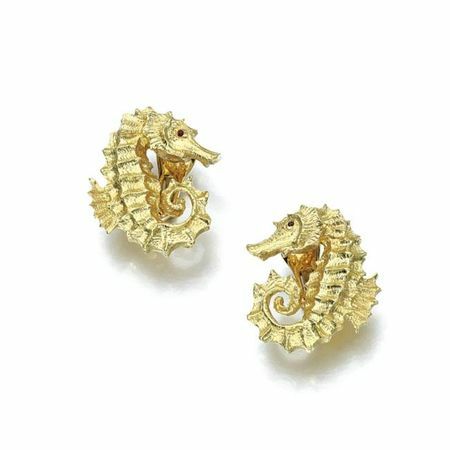 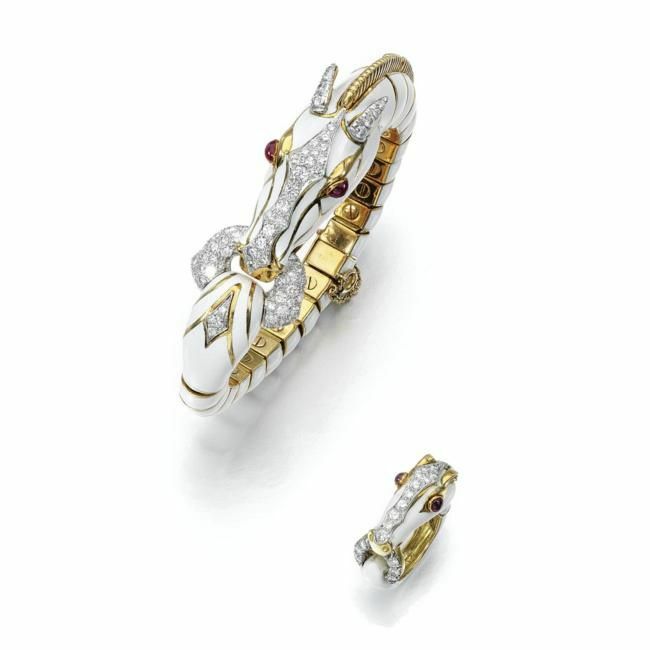 LITERATURE AND REFERENCES: Cf: David Bennett & Daniela Mascetti, Understanding Jewellery, 1989, page 420 for similar pair of ear clips sold as lot 45 in The Jewels of the Duchess of Windsor, Sotheby's Geneva, 1987. 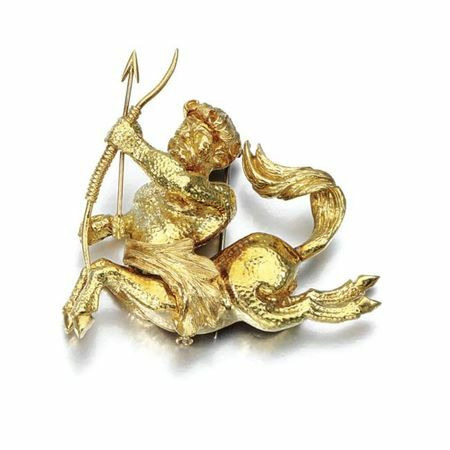 LITERATURE AND REFERENCES: Centaurs, part human and part horse, were descendants of Centaurus, a son of the god Apollo. 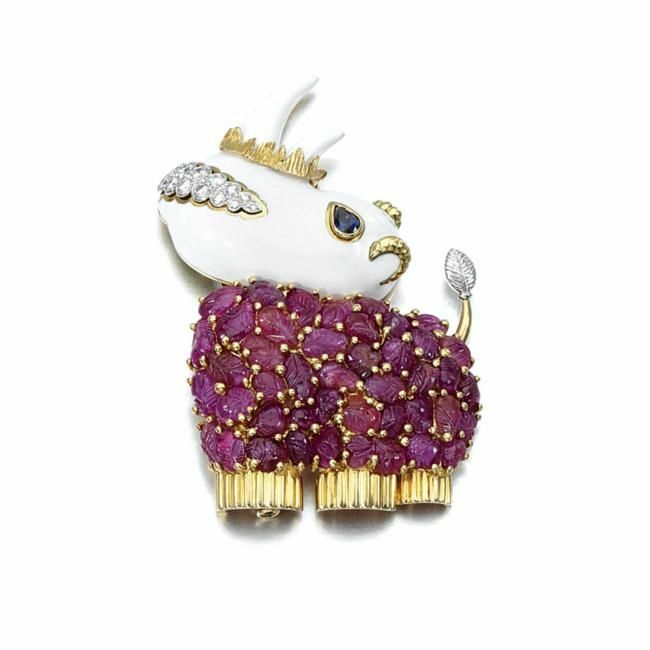 Governed by the bestial half of their double nature are described for their uncouth behavior and wild reaction to very small amount of wine. NOTE: Founded in New York in 1947 by David Webb and Nina Silberstein, it wasn't until 1963 that a permanent salon was established on 57th street; before that Webb jewels could only be purchased in upscale Manhattan department stores such as Bergdorf Goodman and Bonwit Teller. 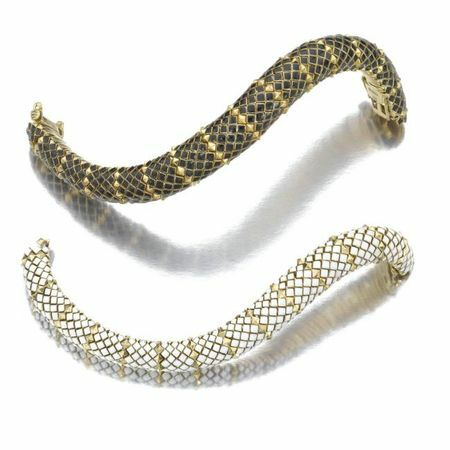 Webb drew inspiration from the ancient civilizations of Greece, Rome and India, as well as the Mayan culture of Central America, evident in his bold hammered yellow gold designs. 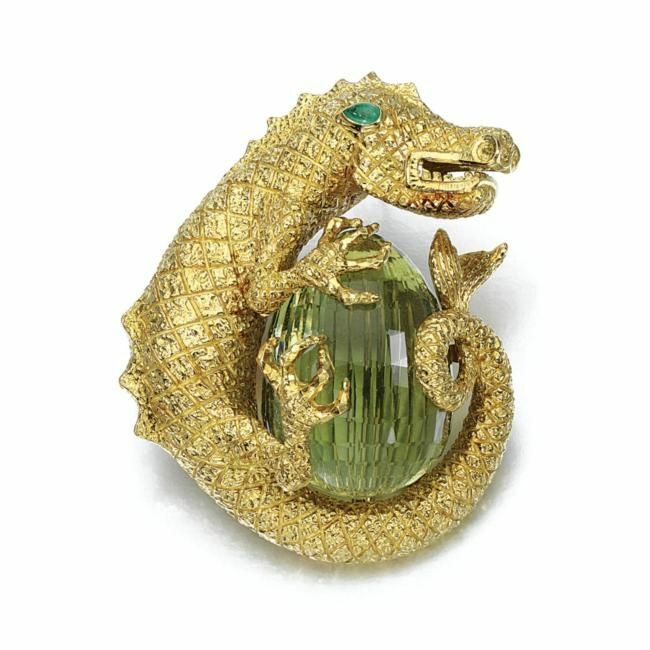 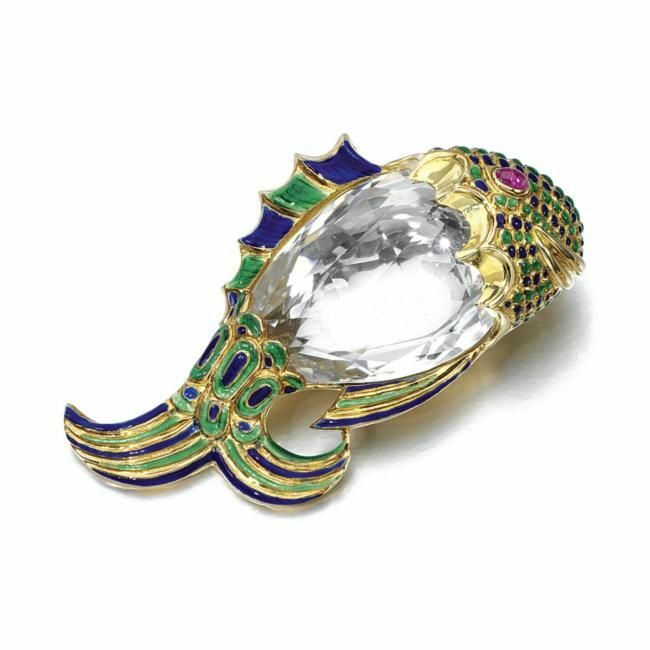 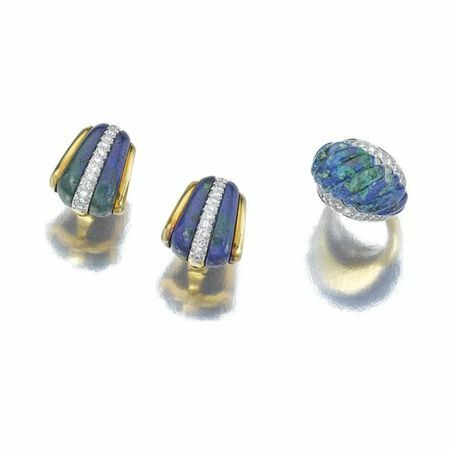 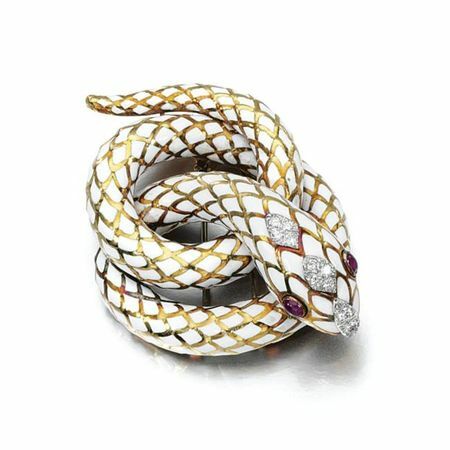 He also was influenced by Carl Faberge's imaginative combinations of enamel and semi-precious stones. 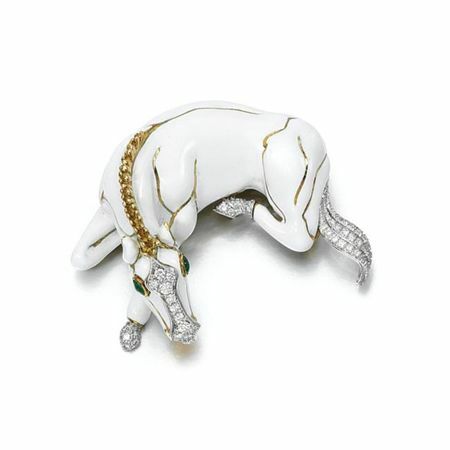 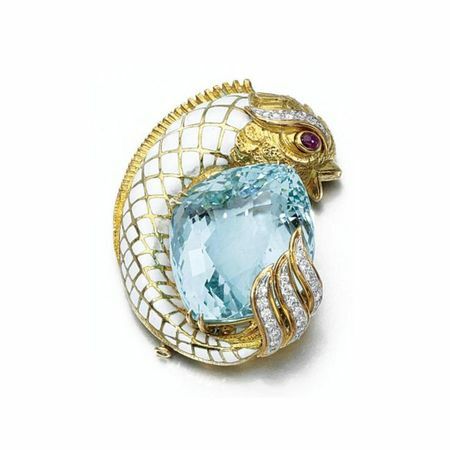 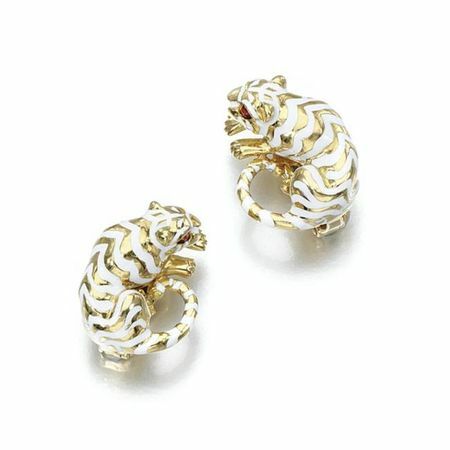 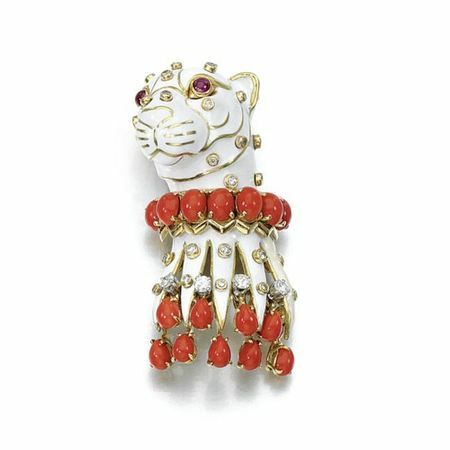 Webb is perhaps best known for his animal creations, which were inspired by and in homage to Jeanne Toussaint, the brilliant creator of Cartier's Great Cat jewels. 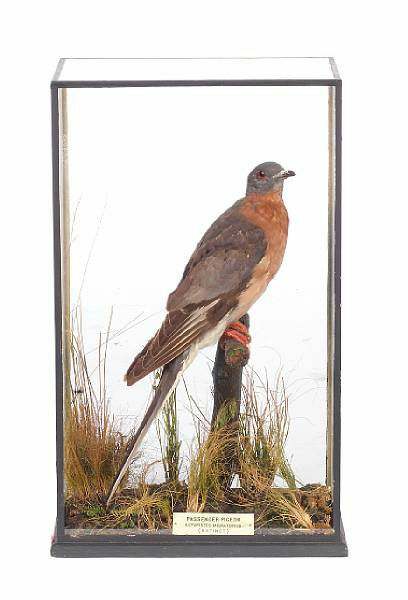 His fanciful horse, tiger and zebra designs, made of intricately worked enamel and unusual stones and materials, were an immediate success. 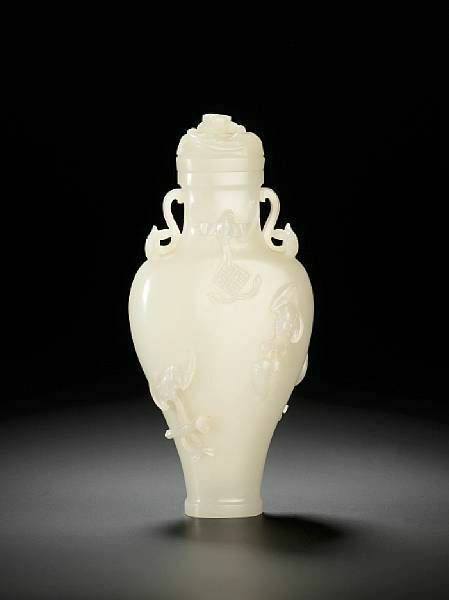 First Lady Jacqueline Kennedy commissioned Webb to create unique objects, using American materials, to give as state gifts. 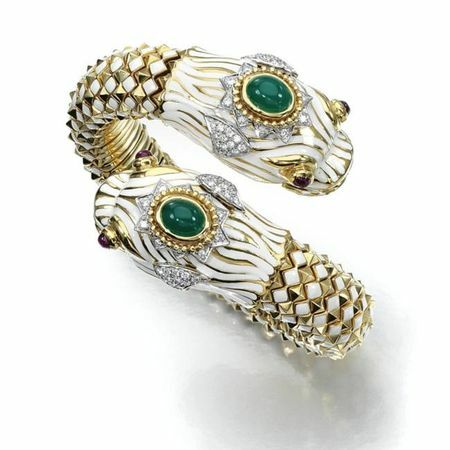 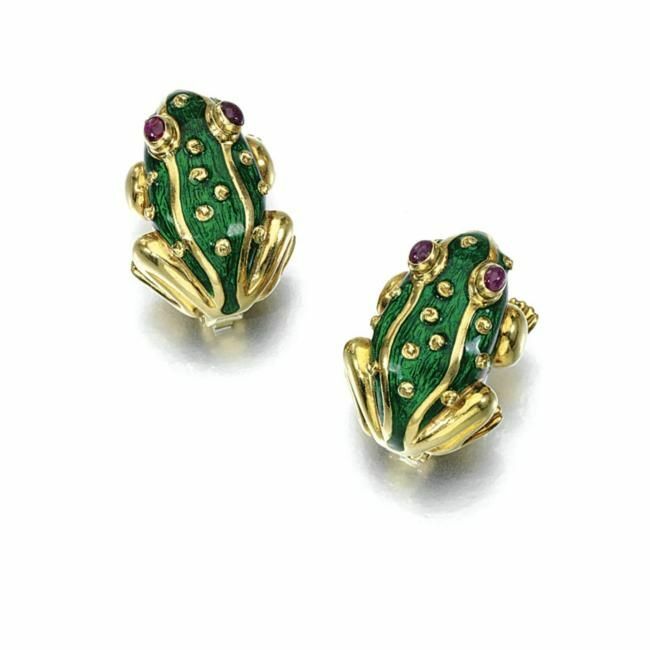 Another loyal client was the Duchess of Windsor, who had several Webb creations, including a whimsical bright green enamel frog bangle and matching earclips. 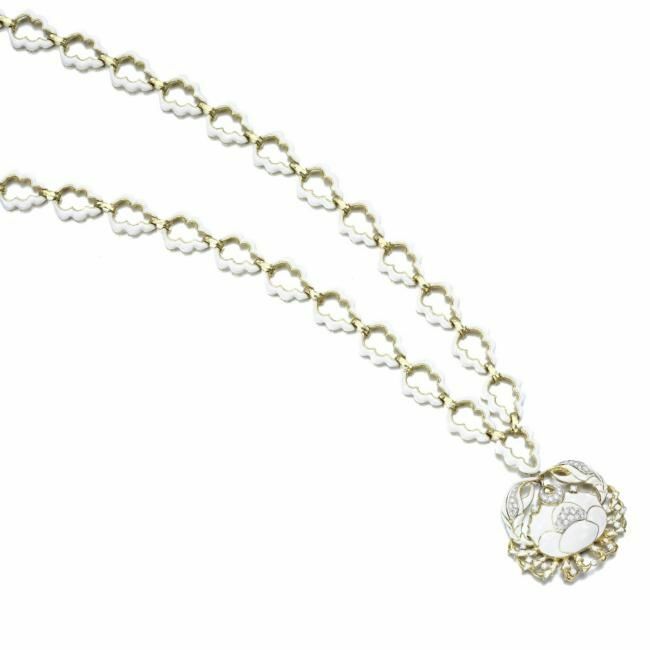 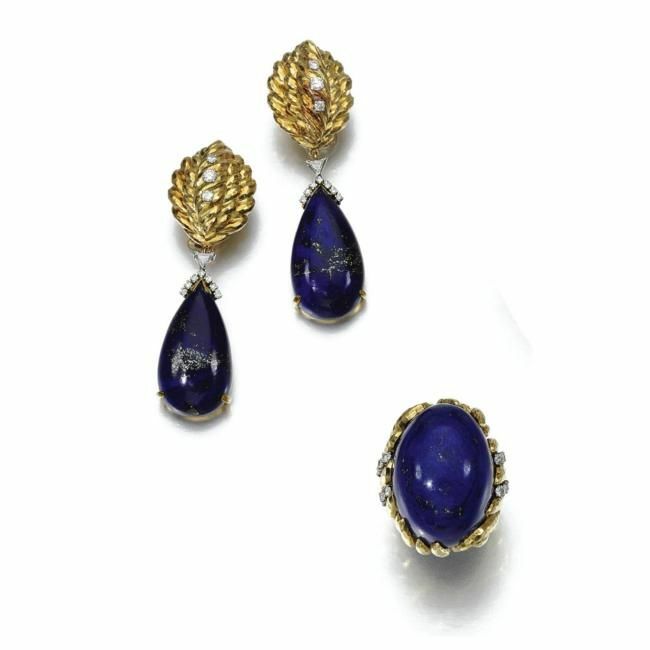 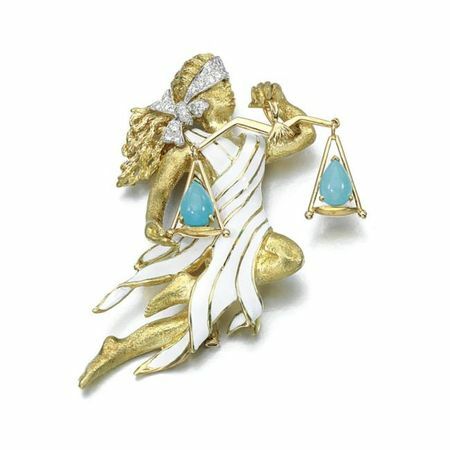 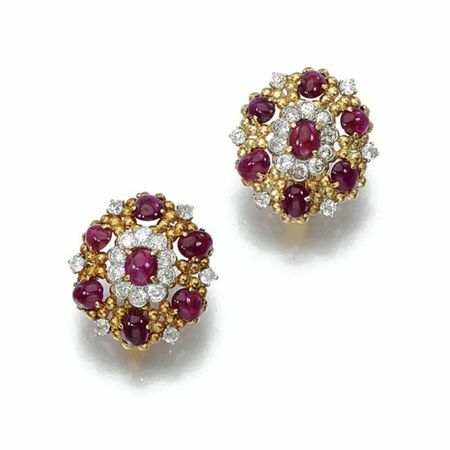 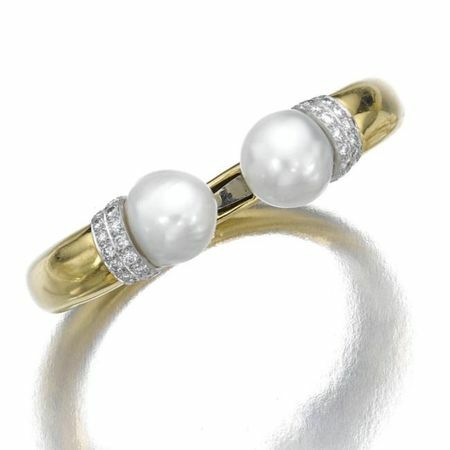 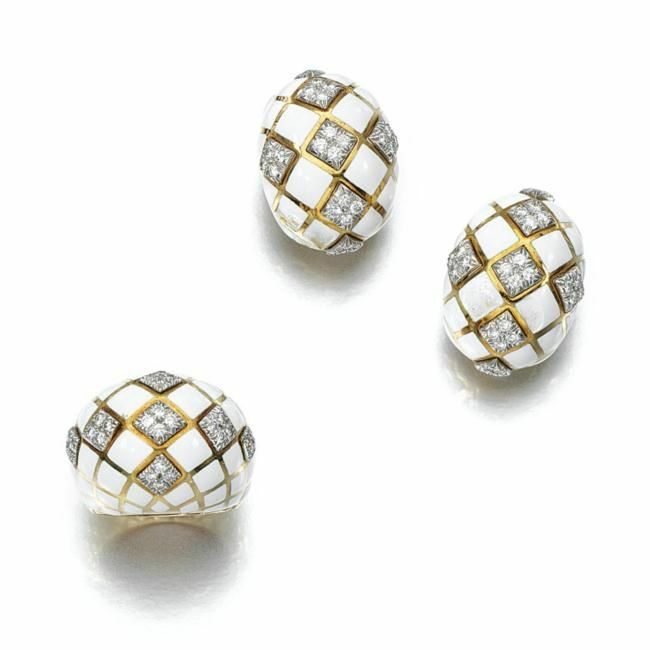 Webb passed away in 1975, but his instantly recognizable jewels continue to attract attention to this day. 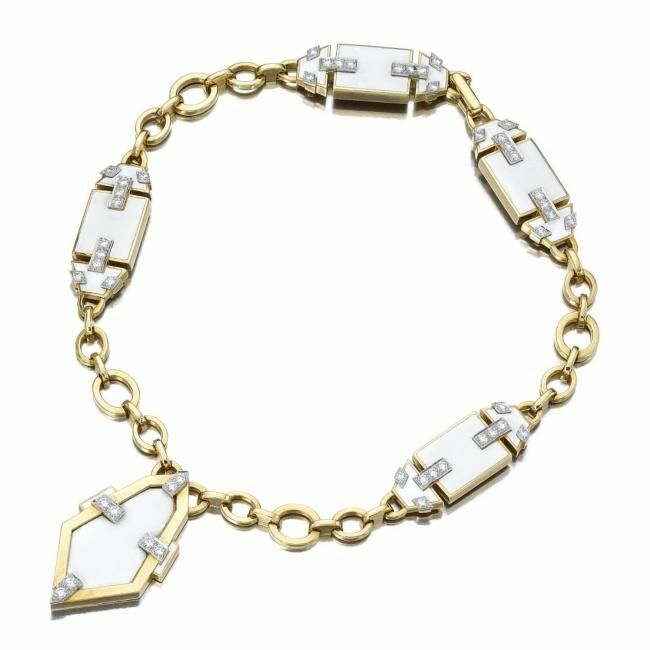 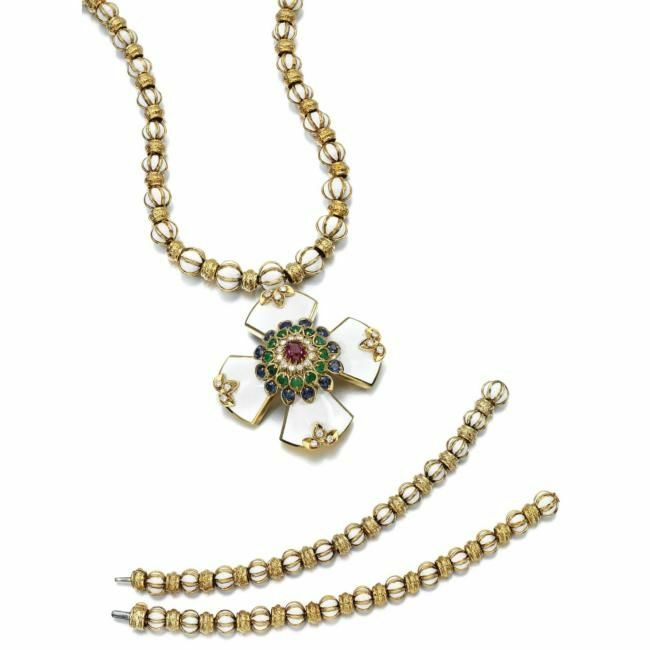 The duchess of windsor's gem-set and diamond cross bracelet, cartier, 1934-1944. 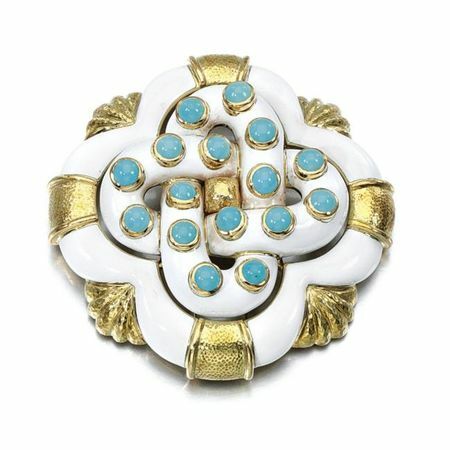 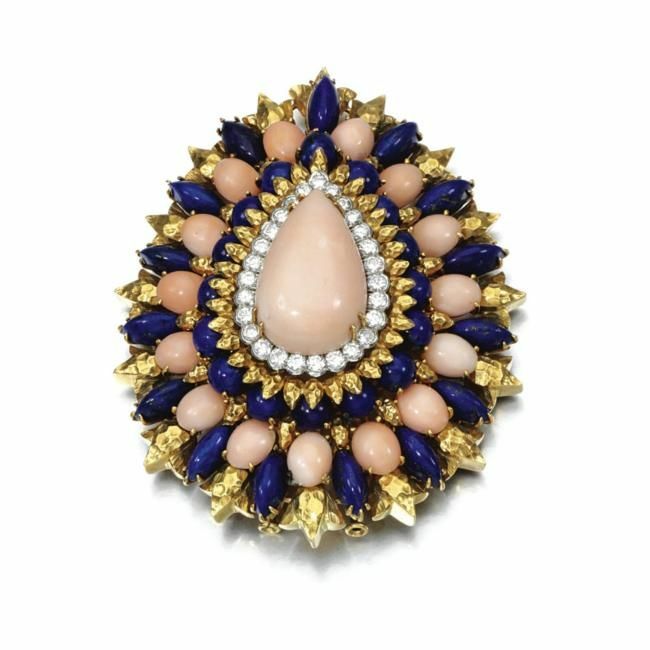 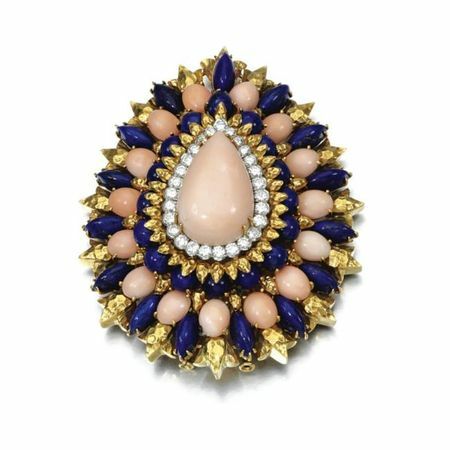 18 karat gold, coral, lapis lazuli, emerald and diamond brooch, david webb. 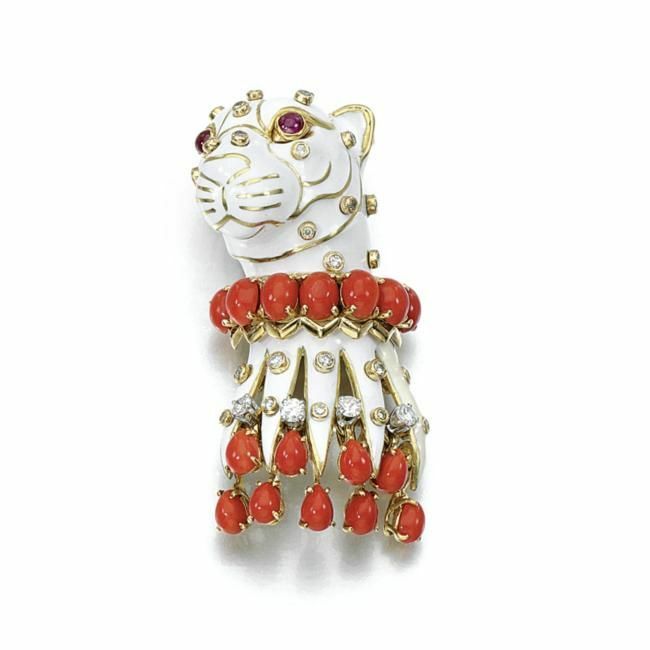 Coral, emerald, ruby and diamond bracelet, michele della valle. 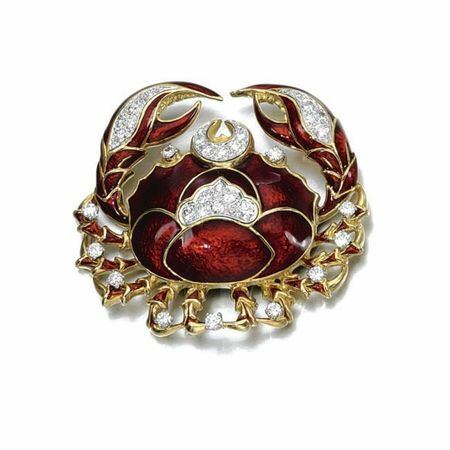 The ruby, sapphire, emerald, citrine and diamond flamingo clip, mounted by cartier, paris, 1940.